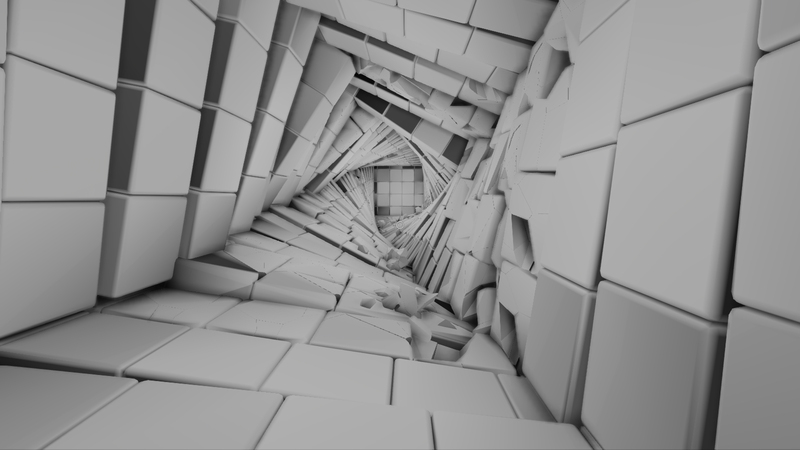 QUBE is a first-person puzzle game where you use… cubes. Left-click retracts them and right-click extends the cubes. Cubes of different colors do different things- Blue cubes launch you when retracted and you touch them, yellow cubes extend in varying patterns depending on where you click on them, and red blocks just extend in whatever direction it’s facing. There are other blocks, but those three are the fundamentals. Using these colored blocks, you have to navigate through a series of puzzles and mazes with no explanation outside of trial and error. The gameplay is solid if you’re used to shooters, but you’re screwed otherwise. The graphics are amazing- it runs on the unreal engine, but there are the eventual black blocks from objects not rendering and a few other minor issues that are negligible. The difficulty: steadily increases as it is supposed to for a puzzle game. It is incredibly fun to catch on and the variety of puzzles throughout makes it hard to give up. I had to finish the game in a single sitting- or at least I tried. The game is incessantly glitchy to a point where correct puzzle solutions don’t work. I actually had a little robot that isn’t supposed to stop moving stop on a retracted blue block that was supposed to launch it. The physics-based portion of the unreal engine often messes up puzzles beyond repair- at one point blocks moved away from magnets, out of their reach, and I couldn’t fix it. I had to reload the level multiple times to do it. That aside- The game is amazingly rewarding and fun. If it weren’t for the glitches, I daresay it would be amongst my favorite games, but the glitches sorta’ ruined it. And the game itself is short- having only a very minor story that is only made apparent at the end of a few quick puzzles. It is very visually appealing though- as you can see from the pic above. There is no HUD, except for the gloves that you can see when you hover over blocks, which made it look so much more appealing and unhindered. Overall, I thoroughly enjoyed QUBE and would play it again, were it not for the glitches. I applaud the indie team who made this game! I hope they manage to fix it.